There's no messing around with these tapes! 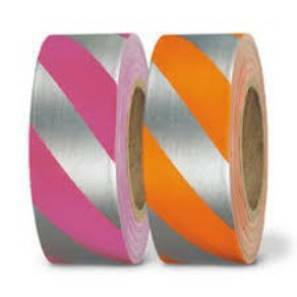 Texas grade solid flagging tape is the most durable, long lasting outdoor flagging available. Perfect for marking tree tops, specify species, price trees by color, mark boundaries, land scaping areas and much more! Rolls measure 1 3/16" wide x 300' per roll.